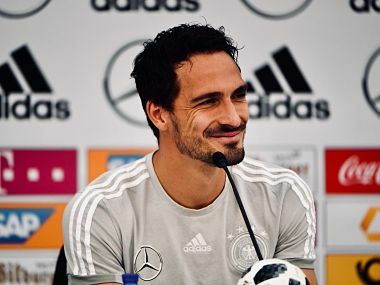 "Mats Hummels will probably not be able to play. He somehow dislodged a vertebra in his neck yesterday and has not improved," Joachim Low said. Manuel Neuer, Germany's captain and goalkeeper, has not played since September and still has to prove his fitness at a fortnight-long training camp in northern Italy, which starts next week.